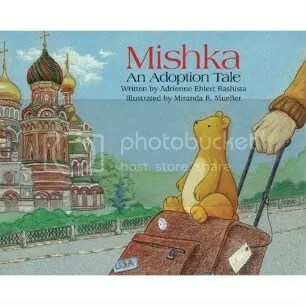 Mishka: An Adoption Tale by Adrienne Ehlert Bashista is a beautifully illustrated and wonderfully written book about Mo the bear’s journey finding a family and home. It’s a great story for all children and perfect for opening the discussion of adoption. In the tradition of The Velveteen Rabbit, this emotionally touching story is written from the point of view of a stuffed bear. I am giving away a beautiful, brand-new! copy of Mishka: An Adoption Tale. It has been signed by Bashista. Maggie and I reviewed Mishka (click here for the review), and I interviewed Mishka‘s author Adrienne Ehlert Bashista. 2. 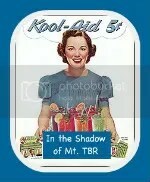 Post this giveaway on your blog, then let me know, for two extra entries. 3. Post a comment on the review for another entry. 4. Post a comment on my interviewwith Bashista for another entry. 5. 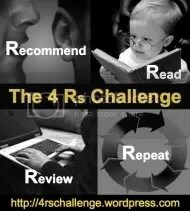 Doing all four will get you two more entries, for a total of seven chances to win. This contest is open until Saturday, August 9th. I will announce the winner in my Sunday Salon post on the 10th. So get busy and enter already!